While Dallas, TX utility companies test their water in compliance with Federal and State Water Quality Regulations, an in-home water hardness and drinking water test from RainSoft can provide you with additional information that you may want to know. Municipalities don’t always test for a full range of contaminants on a yearly basis, and some are even deemed permissible in certain quantities. As a result, additional testing can help you learn exactly what’s in your family’s water. Disinfecting agents, which include chlorine and other byproducts. These no longer serve a purpose after processing, but are still permitted to remain in the water. Organic contaminants, which can make their way into drinking water sources through runoff and improperly discarded wastewater. Inorganic chemicals, which range from fluoride and chromium to barium and arsenic. Concentrations must fall below guidelines, but slight quantities are often present. 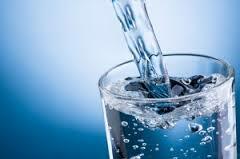 Trace metals, which can leach into drinking water from household plumbing systems or the erosion of natural deposits. No matter which contaminants are present in your water – or how they got there – RainSoft can help you devise an efficient solution. We offer a wide range of drinking water filters and problem-solving filters, all of which are designed to give your family top-quality water from your kitchen tap or refrigerated dispenser. Ready to schedule a complimentary in-home water hardness and drinking water test from RainSoft of Dallas, TX? Contact your local authorized dealer by calling 1-800-RAINSOFT today.